Today, Activ Doctors Online CEO and founder Florent Monssoh steps in front of a group of leading business minds to speak about telemedicine as a disruptive force in the US health industry. 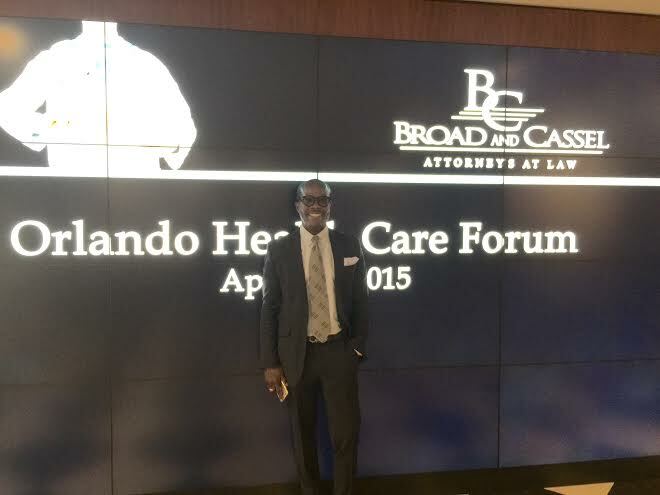 The conference, entitled ‘Telehealth as a Means to Reduce Cost and Improve Quality’ will be held at Law Firm Broad and Cassel’s Orlando headquarters, and will address new user technologies in the health sector. Monssoh will deliver a speech focusing on ADO’s empowering ability to allow members to take complete control of their health and save money in the process. The US health industry wastes a shocking $750 billion each year, of which $202 billion is spent on unnecessary services like repeat tests. Monssoh believes new technologies like ADO can help make health spending more transparent for the consumer and address this wastage. Monssoh comments, “My organization approaches the telehealth industry from a very patient-oriented, money saving perspective, which links nicely to the title of today’s conference. “The fundamental element of Activ Doctors is the Personal Health Record. With a PHR you can access your entire health history from any smart phone or computer, anywhere on the planet. This includes every prescription, vaccination, allergy, surgery report, test result and much more available at the touch of a button. “The beauty is that every health consumer now has access to a tool that, within 30 seconds, tells them every aspect of their health. ADO has the potential to reduce a large portion of the $202 billion dollars America wastes each year. Consumers will never have to fork out for a repeat test again! “On the service side, we’ve made actual health care much more available too. Activ Doctors members have access to some of the best minds in medicine. Our second opinion service is for those patients who have been diagnosed with a serious or chronic condition and wish to examine other options without the expense. Our e-Consultation service allows members to consult with a doctor from home or work via webcam. Activ Doctors empowers patients to consult with a doctor on their own schedule, with appointments available before, during and after normal office hours. Back in March ADO sponsored the Business of Healthcare Conference, held each year at the University of Miami. The buzzword there was ‘disruptive technology’, a term used to describe new technology that offers consumers value in new and uncharted areas. The consensus was that the health industry is slowly but surely moving towards telemedicine and many companies are creating innovative ways to reach and assist those consumers who traditionally wouldn’t have access to health care.